What goes around, comes around. Adjustable, number band wrap ring, inspired by vintage receipt printing ribbon. 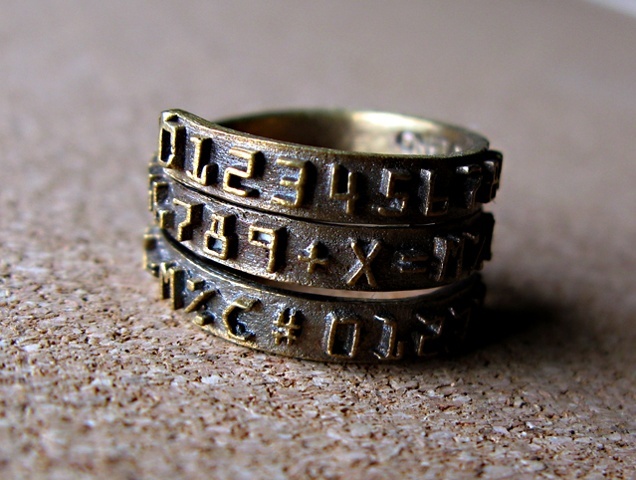 Rings are cast in brass and antiqued with a patina. They are easily adjusted to a larger or smaller size by twisting along the spiral. Great for men too.